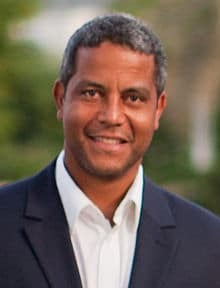 Jeremy Guscott played during the era of amateur rugby and is regarded as one of the finest ever centres in world rugby. He has played for both England and the British Lions, making his international debut against Romania in 1989 with a hat-trick of tries. Jeremy Guscott enjoyed the respect of his fellow rugby players and fans worldwide for his speed, determination and all round skill. Today Jeremy Guscott is a regular on the BBC Rugby commentary team. In addition to his rugby and media career Jeremy Guscott works as a consultant for British Gas. Jeremy Guscott received an MBE for services to Rugby Union. Jeremy Guscott is in high demand for personal appearances and speeches at both sporting and corporate dinners.